Located in Istanbul, the Topkapi Palace Museum is the most important museum of Turkey and the Balkan Peninsula. It is an incomparably rich treasure-chest, brimming with items of historical importance. The only catch is, it is so enormous, you almost can’t see due to the embarrassment of riches and the sheer size of the place. Since it covers 80 acres, don’t make the mistake of heading into the wrong direction. You will find yourself walking three times too far. Here is what you can expect to see in the first, second, third and fourth courtyards; The Audience Hall, Divan-the High Court, Historical Kitchens, Audience Hall, Royal Stables, The Treasury, Harem – where sultans lived with their wives and concubines, gardens and kiosks. This experience is simply the best commentary on Ottoman History, art and its culture. After seeing these things with an experienced tour guide, you will never be quite the same again. 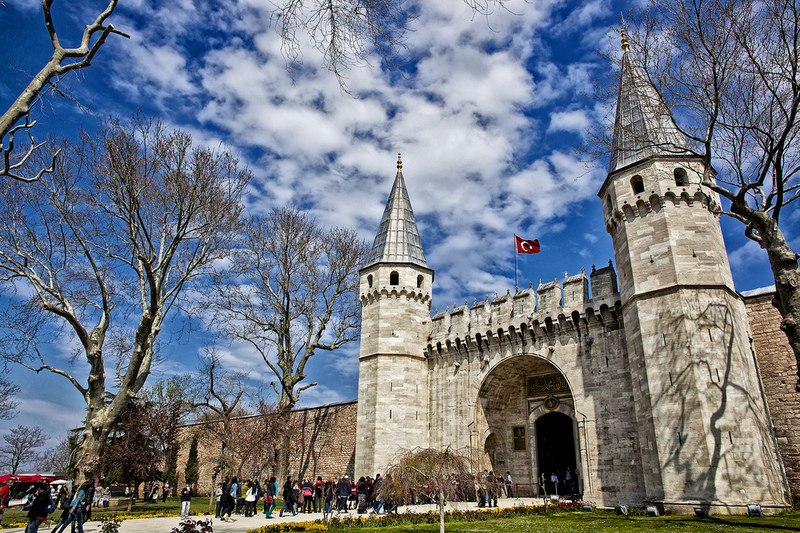 Please Note: Topkapi Palace is closed on tuesdays.